Natrang Theatre completed its 35 years on 15 May, 2018 whose foundation was laid down by its founder Balwant Thakur in 1983 with the help of Vijay Attri, Prabodh Jamwal, Arun Sharma and later joined by Narriender Sacchar, Jugal Koul, Suresh Sharma and Asha Arora. 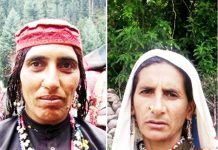 Balwant Thakur, a strong headed man one day promised himself that one day he will disseminate the culture and tradition of various regions of Jammu and Kashmir across the national boundaries. 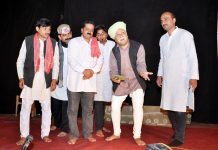 His promise spawned the performance of only longest living play “Bawa Jitto”, an internationally acclaimed Dogri play written by Prof.Ram Nath Shastri and directed by himself, not only for once but hundred times. 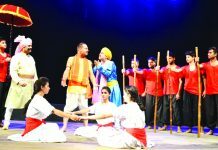 To commemorate the completion of 35 years of Natrang Theatre, they decided to do a four day theatre festival every month and it is pertinent to mention that Natrang has already done 4 days theatre festival in the month of May, June, July and August in which 16 different productions were staged which is a record of any theatre group in India. Theatre throws an ever lasting impact on its audience. The story of such impact lies in the interview of Dr.Vandana Sharma who after watching the play Bawa Jitto decided to translates it from Dogri Language into English Language. In same way, Mansi Sharma was also influenced by the theatre, she points, “Theatre transparent the reality in the open way. It gives a sense of freedom and inspires an individual to resist the evil in society”. The journey of theatre has always been under the threshold of struggle. Theatre is not just a place where the artist displays his talent and audience is merely a spectator as its meaning states “the seeing place” but it goes beyond its surface meaning. It can be seen in the 17th century when theatre was banned by Puritans in England because according to them the motive of theatre was to provide entertainment only. Banning theatre means maintaining peace with God. Later on, theatre was restarted during the rule of King Charles II. By tracing history, we can see that theatre didn’t come in one day but it took almost 100 of years for its establishment in the now world. 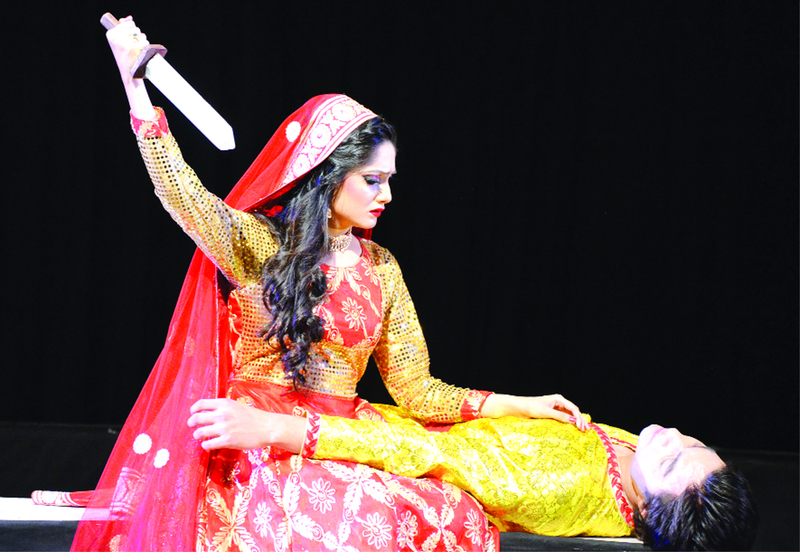 Theatre in J&K also passed through the phase of struggle. Behind this big achievement of years in Jammu region only surviving Theatre Natrang, there is a story of struggle which starts with the eminent personality of J&K, Balwant Thakur. Just like any other theatre in the world, Natrang Theatre has its own history. This history starts with only one man’s generous effort, Balwant Thakur. 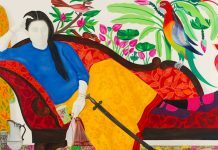 As a child, his inspiration was his farther Hari Saran Thakur, an artist, who represented traditional performances at various national stages. His first trial at establishing a theatre group was Seven Stars when he was in 12th standard and there back in the past he performed plays like Sabhya Saanp and Kanyadaan. He didn’t get any training in this profession. His passion for theatre helped him to reach wherein he is now. In an interview by Archana Kumari, Balwant Thakur said, “No, I didn’t take any formal training in theatre. However, it was deeply imprinted in my mind and my heart followed it. Like the son of the soil, I learnt theatre from my surrounding and improved my vision”. Thereafter, he brought laurels to the Jammu Univerity at Zonal and National level by giving his outstanding performances. University didn’t provide enough space to his creative explorations. 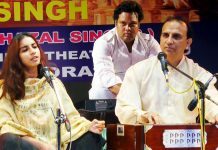 So, he went out to establish his own theatre named Natrang.. Neeli Jheel and Nanhen Kandhey Nanhey Pair were the opening plays staged by Natrang. Natrang happened to be a corridor of artists from where they can make their future in theatre which is taken in very limelight in J&K. It requires an effort of years to mention the immense contribution of Padma Awardee Dr. Balwant Thakur in pushing the Natrang from State level to National level and then across the globe. The foundation of theatre in Jammu and Kashmir is incomplete without him. He served it like his own child. 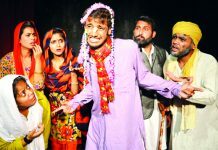 In an interview at 8th Chalo Theatre festival of Ras Kala Manch, Safidon, he said “The struggle of theatre in the J&K and Haryana is same. We are struggling from the same phase. Our main aim is not to do good job but the time of hour is to struggle for the existence of theatre”. According to him, when the theatre of J&K is compared to the world, it seems like it still has to cover the miles to get the recognition it deserves. Theatre is the platform from where various artists jumped into the mega screen. Theatre proved to be a boon to artists. The Natrang Theatre has a routine of performing four plays in one month. It is not easy to do this job as it demands extra efforts and a strong co ordination. It is about like moving a cart. 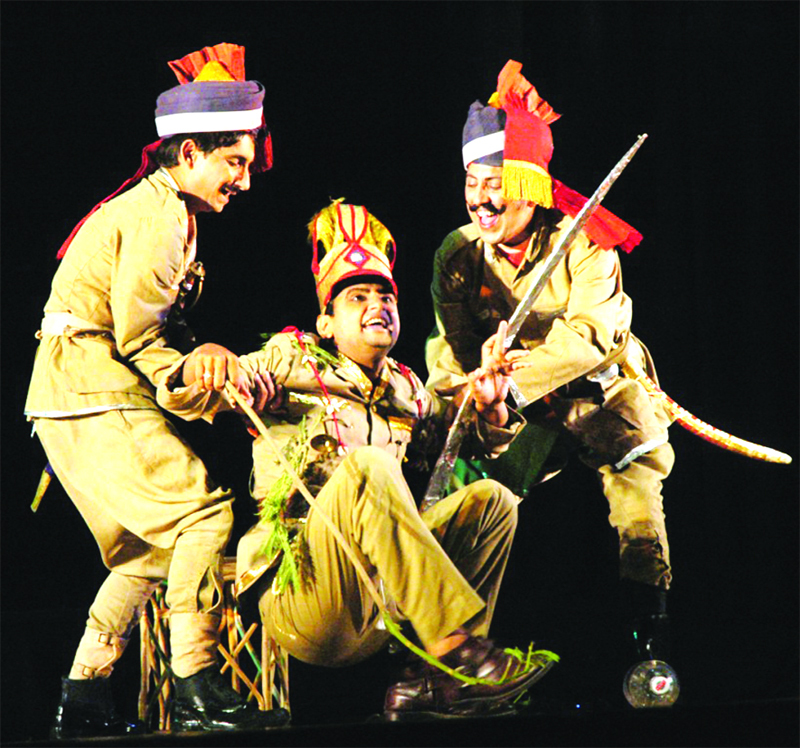 People around J&K must understand the social relevance of theatre. 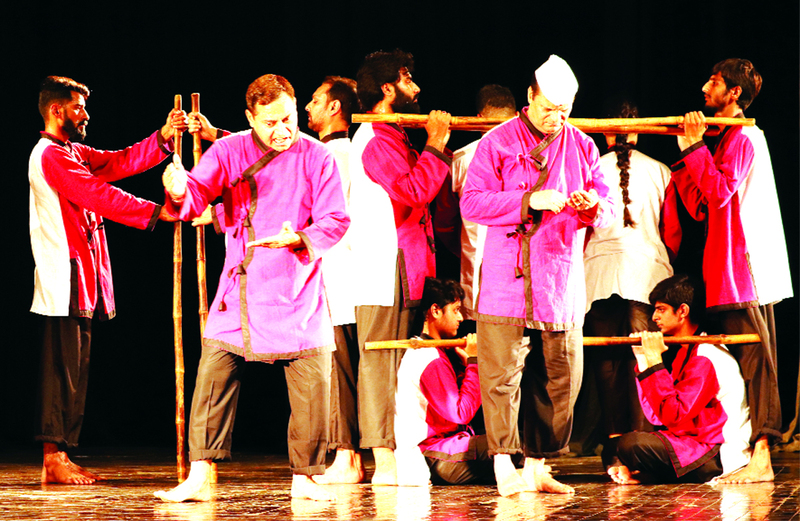 They must absorb the vibes of theatre to feel the painstaking efforts done by the artists. They also do social service in another manner but differently just like a writer who criticize a certain step to awake the society. These artists who roam from town to town, villages to villages, cities to cities, cross national boundaries and finally lit the lamp of their country’s proud on a global stage, still battling to have a financial support from their respective government quarters. Everyone must enforce themselves to think that theatre is a centre for preserving culture and traditions. The need of hour is to welcome the theatre whole heartedly with open arms not on stage alone, but in our hearts as well. 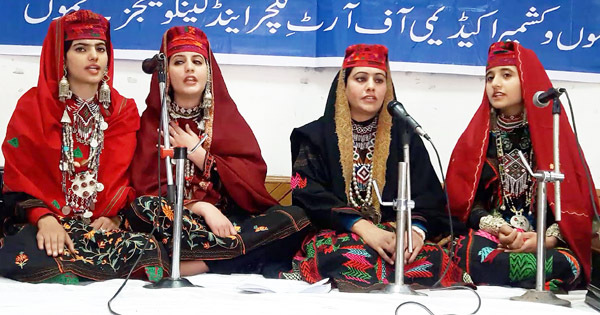 Mass media must also come in forward to highlight the importance of theatre in an individual’s life as Natrang has played a significant role in helping the people to know about the art form of dances, music, and folklore of various regions of Jammu and Kashmir. 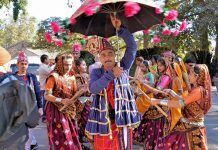 Natrang theatre is a blessing for the Gojri and Pahari culture because not any theatre before Natrang performed the culture of former communities on International stage. 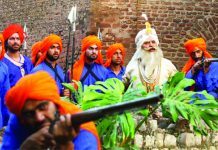 According to Manglam Bharat, a student of Smvdu, “In 1914, when Raja Harishchander was staged by Dadasaheb Phalke in the dramatic manner, its aim was not to earn the commercial aspect like today cinema, but it was a way adopted to show certain social issues in the play form . Bawa Jitto although was written in the folklore form but theatrical adaptation impact the audience the most like Raja Harishchander did”. 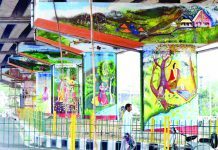 From here, we can see how Natrang contributes in uplifting downtrodden communities and providing them a space full of respect. On this 35th anniversary of theatre, it would be wrong not to mention and encourage their collaborative efforts in moving Jammu and Kashmir towards the new heights of Aestheticism which took the state of Jammu and Kashmir to International heights.